Product Details –Ingredients- Chicken, Egg, Milk, poultry meal, soybean meal, chicken oil, full fat soybean, brewer dried yeast, dried whole egg, lecithin, fish oil, iodized salt, vitamins and minerals, antioxidants and food colouring. 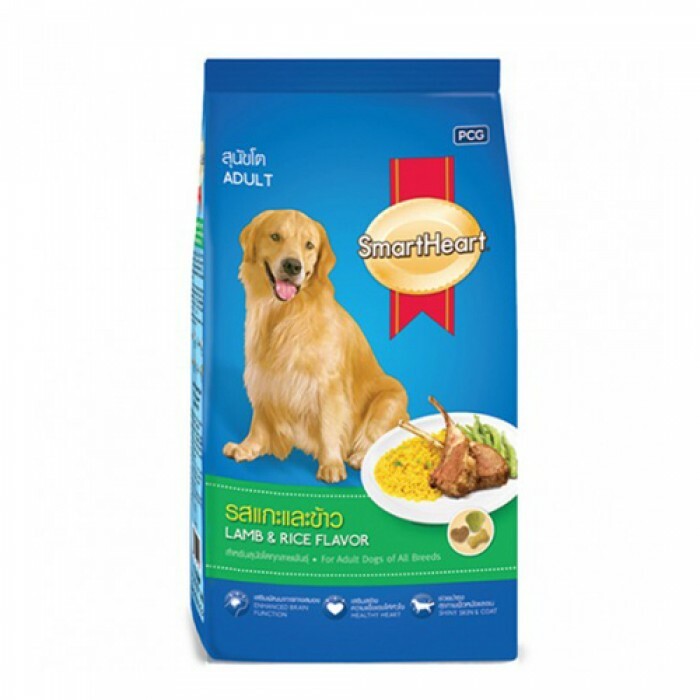 Flavor-Chicken and Egg, Milk flavor, Suitable-All Breeds of Adult Dogs,Quantity-3 Kg. Product Information -Puppies experience their most rapid period of development during their first years of age. This includes their activities and learning new challenge. Complete and balanced nutrition is essential for their proper growth and healthy development. 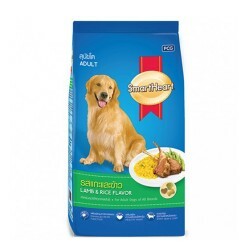 Smart Heart puppy food is formulated to meet puppies nutritional requirements using the best quality ingredients and supplemented with fish oil (rich in DHA and Omega-3 fatty acid) and Lecithin (rich in Choline) to help enhance brain development, nervous system function and heart health. Benefits-Enhanced Brain Development - DHA (from fish oil) and choline (from lecithin) for enhanced brain development and nervous system function. Healthy Heart - Omega-3 fatty acids from fish oil for a healthy heart. Strong Immune System - Vitamin E and Selenium for strong immune system. Healthy Digestive System - Highly digestible ingredients for improved nutrient absorption and stool quality. Healthy Skin and Coat - Balanced Omega 3 - 6 essential fatty acids for a healthy skin and shiny coat. Strong Bones - Teeth - Calcium and Phosphorus for strong bones and teeth.